Meze – a variety of small dishes served before a meal – are very common in The Balkans, Greece and Turkey but also found in both some Middle Eastern countries and some parts of Asia. It’s a great way to bring people (both old and young) together in the late afternoon. In Greece it is usually enjoyed with tsipouro – a distilled grape spirit, infused with or without anise, similar to grappa in Italy or rakia in Bulgaria. Over the coming days we made a selection of popular Greek meze. 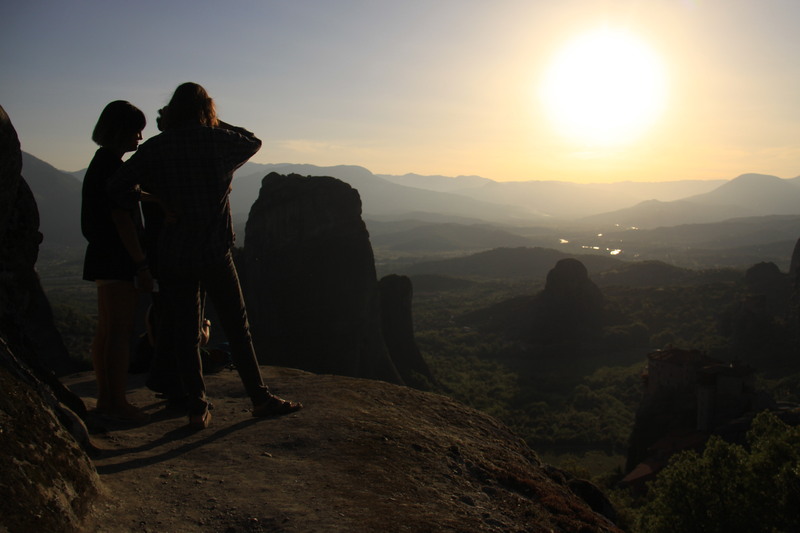 It was mid afternoon one Sunday and a lot of the local places were closed – as is the case with most of Greece. 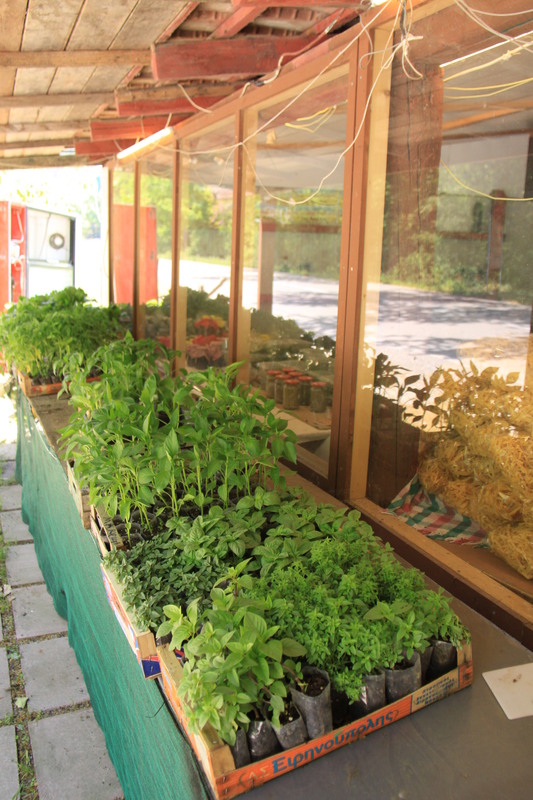 We were fortunate when we came across a lady that had a lovely store at the front of her farm, selling homemade products, both fresh and bottled. 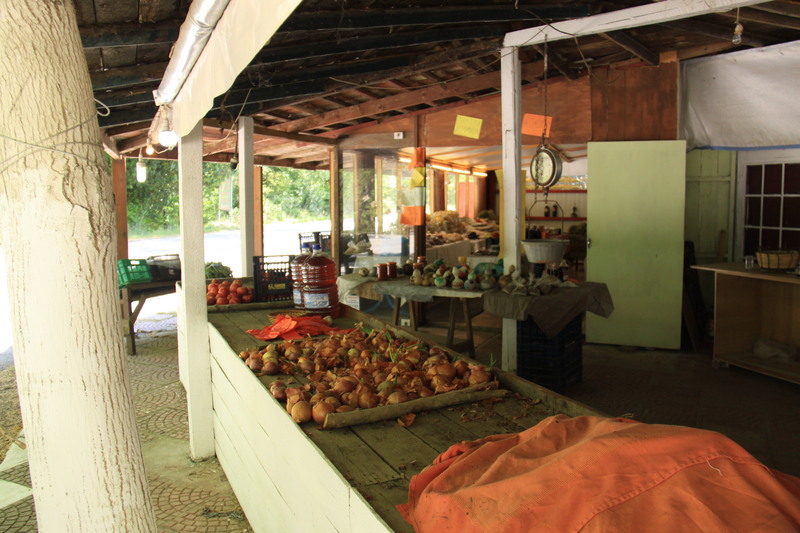 We stopped and picked up some different items – although limited due to the time of year; tomatoes, apples, onions, butter beans, eggs and some very young, semi firm goats’ cheese. 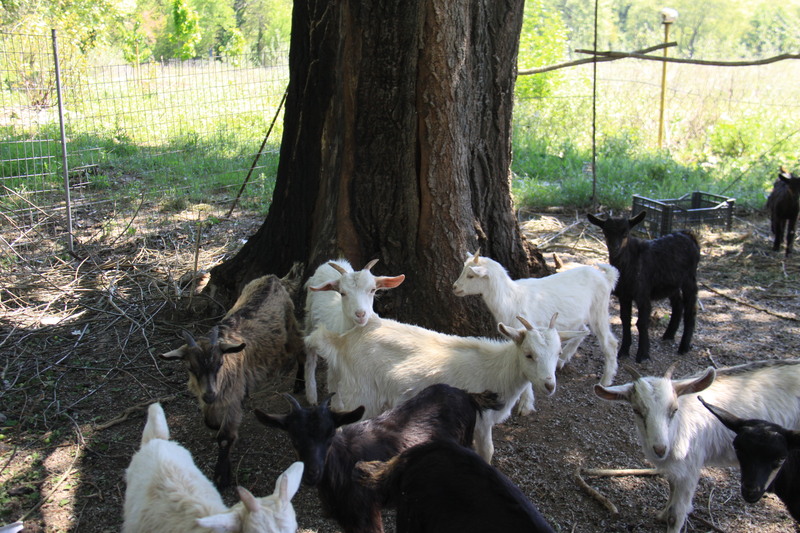 As she spoke perfect English, we took the opportunity to ask her where we could get some goat meat from. She pointed us in the direction of the local butcher and off we went. We had a little trouble communicating with him, but we managed. 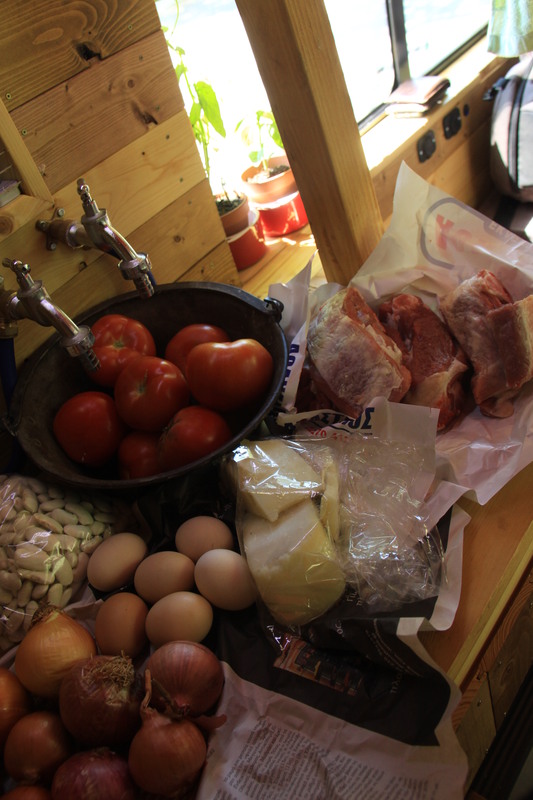 A bone in leg of goat – which he kindly cut into steaks for us. 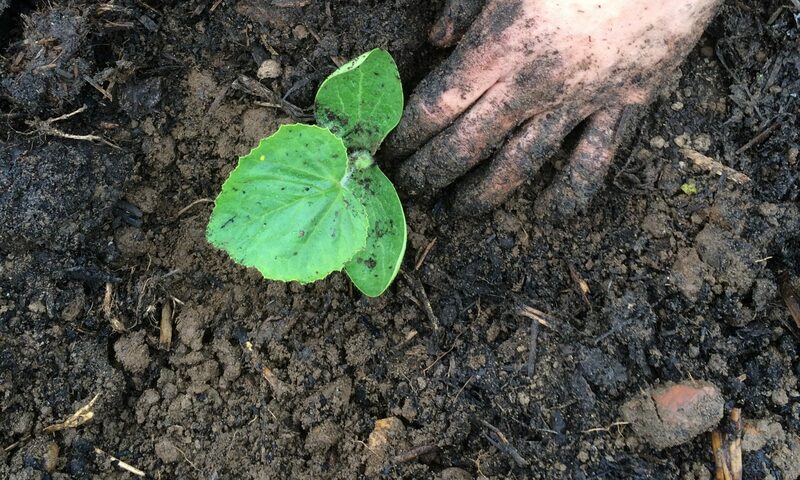 You can see what we did with it here. He also very proudly gave us a sausage – which his friend explained in broken English – he had made the day prior. 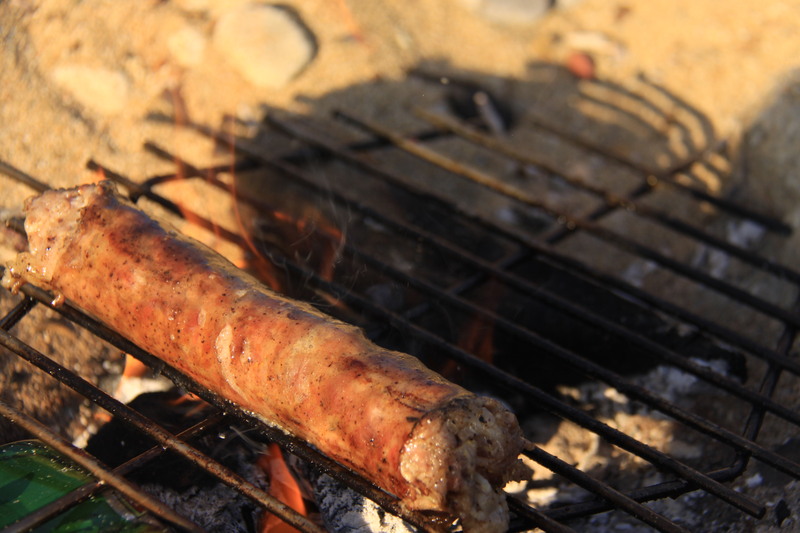 We later discovered it was a loukaniko, the name given to the very common pork sausage in Greece. 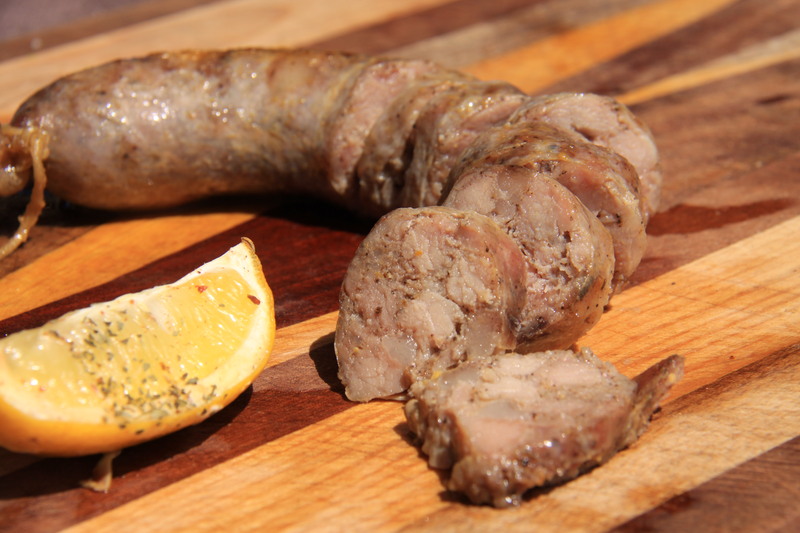 A beautifully balanced, slightly citrusy sausage with lemon balm undertones. A true gem and lasted many a meal. 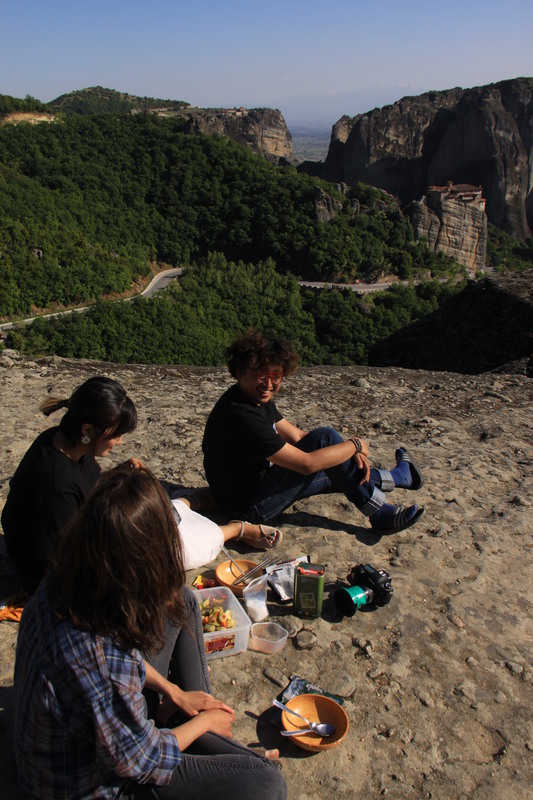 We then set off on our way to the Meteora, where we happened to meet a South Korean couple – see their story in another blog post here. After sharing some nibbles and watching the sun go down, this chance meeting quickly led to deciding we all needed some dinner. We travelled a few kilometres in convoy until we found a nice little place to park up; a river on one side and farmland on the other where we enjoyed some fusion style meze. We brought to the table some Greek classics; melitzanosalata (an eggplant dip), dakos (a Crete specialty, a slice of soaked barley rusk topped with chopped tomatoes, feta or mizithra and oregano) and of course our prized loukaniko sausage, which we grilled and slightly smoked over olive wood. And our newly made friends brought to the table some spicy Korean noodles and later (rather comprehensibly) they suggested we snack on crispy, salty seaweed to accompany our cheeky late night whiskey. Believe us, it’s super! Back to the eclectic line up we now had on our camp table, we started wondering what to drink. The overly spiced noodles made this challenging! 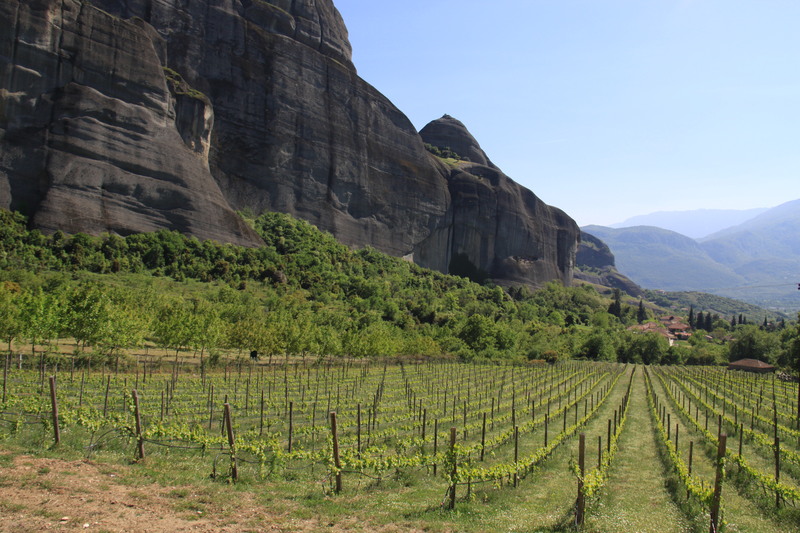 It struck us that a few days back when we visited the Tsilili Winery in Thessaly, where we had tasted a rosé – a vibrant pink colour, made from limniona (a native red variety brought back from extinction by the Tsilili family) and blended with Syrah – we could see how the heaviness of this pungent red fruit dominated wine would work wonderfully. And it did. The aromas of the wine got stronger and stronger as we slurped back the firey spiced noodles, yet managed to work just as well with the smokiness of the other foods. 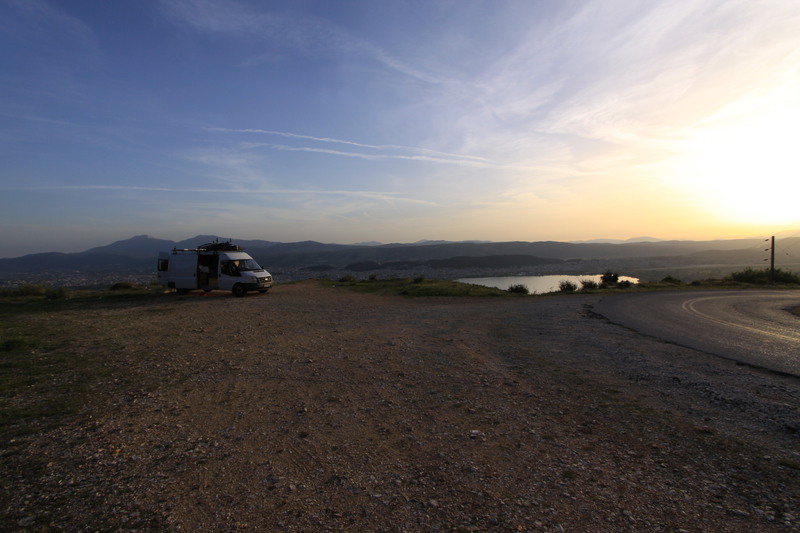 The following day we drove on past Ioannina and found ourselves a gorgeous little spot to park up for the night and enjoy another bombardment of meze, overlooking the city. A similar array of goodies was served tonight, with the addition of some Kalamata olives and the lovely young goats’ cheese we had picked up from the lady a few days prior. As we mentioned, Greeks love their tsipouro which they either enjoy a few sips of to compliment their meze or in some cases finish the whole bottle between a group. Either way we wanted to follow traditions and guess which way we chose… just kidding! When we stopped by the Tsilili winery (which is also a distillery), we had the chance to try a few different tsipouros and we knew right away what we wanted to put on our dinner table. 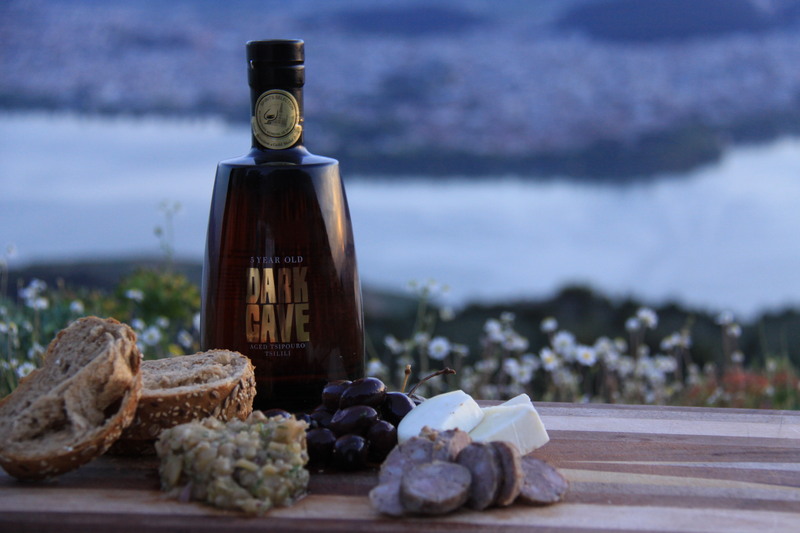 It is an aged tsipouro and very special (even to its makers) called Dark Cave. It’s clean (no anise added) and matured in both American and French oak barrels. As an extra they add red Vinsanto (in this case a Greek dessert wine) to it. The result is a very smooth, silky textured spirit with notes of chocolate, bergamot peel and a touch of nutmeg – creating an incredibly complex spirit, perfect for any occasion. A little further information on some popular Greek mezes. Saganaki can refer to a number of small dishes fried in a pan, but usually refers to fried cheese. The most common cheeses for this are kefalotyri, kefalograviera or graviera, all of which are hard yellow cheeses. You’ll usually find it them served with a lemon wedge. Dakos is a form of meze, regional to Crete, and is a slice of soaked barley rusk topped with chopped tomatoes, feta or mizithra ( ; a fresh cheese made from milk (7 parts) and whey (3 parts) of sheep and/or goats’ milk. It resembles an Italian ricotta) and oregano. Sometimes you will find olives and peppers served with it. Loukaniko is the common word for a Greek sausage made from pork and usually seasoned with orange peel and fennel seeds alongside other dried herbs and seeds, according to ones preferences. It is often BBQ’d or smoked over aromatic woods. 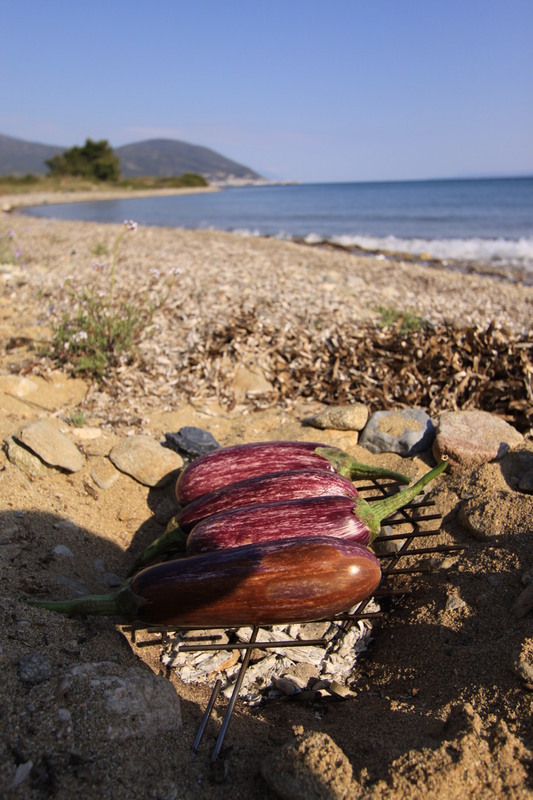 The Greeks love to use aubergine. Sliced and baked as part of a moussaka, or in a dip, known as melitzanosalata, prepared by baking or grilling the aubergines and then either dicing or pureeing them and combining with red onion, garlic, olive oil, lemon juice and parsley. Some people like to add feta to it as well.